There are 108 posts in this topic. You are on page 1 of 3. 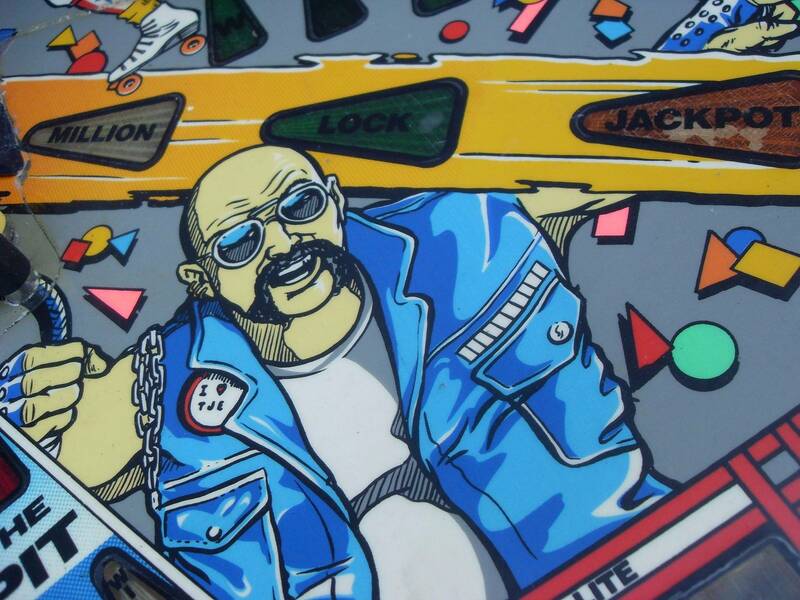 Well, after talking about it for years I finally put out my first pinball podcast. here it is folks. let me know what you think. Good job Spencer! Looking forward to hearing more! Do you have an RSS feed for the podcast? Gave it a listen. Nice first podcast. Looking forward to hearing the next one. I tried that, but doesn't seem to be working for me. There are no <item> tags (e.g. episodes) in spencer's rss. In fairness I am still learning about all this as I go. You should see improvements coming soon and other options on listening. Thank you all for your support. Episode 2 is an interview with cabinet maker Chris Bannister on pinball cabinet repairs and restoration. Episode 3 is up on soundcloud. how to start and run a league for fun. With ccpl, capital corridor pinball league members Adam Preszler and Michael Hosier. Thanks for the podcast Spencer. Thank you for listening. I hope you enjoy the show. I'm still learning as I go. The show is not very polished but I think people like the content of the show. I'm not sure. I have contacted Acast and stitcher to get the show on those sites and I'm working on getting it on I tunes. With the rss feed mrgone provided, you can download and listen through a podcast app. I use Podcast Addict. I've added to Pocket Casts, which is the app I use. I'm looking forward to listening tonight. For iTunes, you must provide your artwork at a certain size and your feed must be 'iTunes-compliant', which basically boils down to some extra tags that no other application uses. I'm not sure if Soundcloud provides those or not, but most likely they do. Your feed only contains one episode, however. For my shows, iTunes took about a week to approve. Once approved, you're added to the directory and then never have to mess with it again. Ensure that your shows are flagged appropriately regarding the explicit tag. I think they've loosened up now, but not too long ago, you had to submit a new show through iTunes. Now I think they offer a web-based way to do it. so i missed the last 5 minutes of the last episode. anyway i enjoyed what i was able to listen to. I'm right there with you. I just go to sound cloud. Type in the search for what I want to hear and hit the episode I want then click the play arrow. If you want to fast forward you can move the needle on the time line forward. Try it out Whalen you have free time. Yes, the category placement and such can be handled from SoundCloud if you go to Settings under the "..." in the upper-right and under the Content tab (same spot as where you turn on the RSS feed). You can handle the podcast description write-up under Profile (just choose to Edit it and place your write-up in the Bio box). Display Name (same section) for podcast name, and your profile image will be your podcast image which iTunes should be fine with if 1400x1400 minimum. I think all that will square you away with iTunes. I did not originally host with SoundCloud, but I'm there now, and when turning off my old feed sourcing and switching things over that's what seems to handle things under the SoundCloud platform (I used to directly write the feed settings via Feedburner, which is an option but if you plan to stick with SoundCloud no reason to change your RSS feed). I also use Podcast Addict. RSS search found your feed (just shows the latest episode). I've subscribed and will give it a listen on my drive home. Thanks for providing the rss feed. While the feed only includes episode 4, I suspect future episodes will be in the feed, thus automatically filling our podcast clients. Oh, if you want to add the older episodes to the RSS, I think all you need to do is choose to Edit each individual track that is missing (so episodes 1 through 3), choose the Permissions tab, and sort of in the upper-right is a check box for Include in RSS feed. Check that and save it, should be good to go. If you want to fast forward you can move the needle on the time line forward. Went to IE browser, log into soundcloud and now i am able to move the needle forward; weird?!?! Audio quality needs a little work. Sounds a bit underwater, the guests seem to sound much better though. Nice Pin A go go spotlight. Thanks for remembering and mentioning Steve. It's a shame I was never able to work it out to go. Especially with the Gottlieb spirit collection. I will be forever missing him. all episodes are now set up for rss feed. or should be if I did this right. Episodes 1 and 4 are on Acast. 2 and 3 are not. Not sure why. Only episode 4 shows up for me using the RSS you posted above. I'm working on that. Bear with me I'm learning about this stuff as I go. It's easy to end up closing the track edit window rather than saving, since SoundCloud does that weird pop-up style thing. Also, I'd recommend checking the "Enable downloads" box (it's also on the Permissions tab). Some people who visit SoundCloud like to listen offline and using this will let them download the whole audio file. Doesn't seem to come up much with RSS feed use (at least, I rarely see many downloads of a track, but there have been exceptions). Also, I'd recommend checking the "Enable downloads" box (it's also on the Permissions tab). Some people who visit SoundCloud like to listen offline and using this will let them download the whole audio file. This would help me listen more easily and often. The feed is working. Ep 5 showed up on my phone today. I downloaded Ep. 5 just fine via RSS. Seemed that the sound sync was off for most of it, however (in the sense that one speaker was talking over the other and there was a gap of silence at other times). Almost like each voice was a track, but one track had some time cut from it so it didn't line up anymore. Yeah, those sound issues can weigh one down. Worst thing I ever had happen was I released an episode and one of the audio tracks had a dishwasher on it. It was LOUD. I was playing back the episode and I couldn't figure out how I made such a big mistake... then I remembered that I did my edits and THEN standardized the audio volume (whereas normally I'd get my audio levels balanced and then edit the tracks). So I couldn't hear it originally but the sound got boosted in post-production but after I'd gone through everything. Never made that mistake again. I think I re-uploaded that one three different times as I kept refining it more and more to make it better. Still had some people ask me what in the world was in the background (since the RSS feed went live a lot of people got to listen to my original, Cascade-laden version in all its scrubbing glory). Good news for you is if the voices are on separate tracks is it'll at least be an easy fix. Thank you. The tracks are recorded separately and mixed in post recording. I should be able to fix it tonight. Seth's sound quality is great, Spencer's sounds compressed and I can hear a lot of artifacts in his voice. I have top men working on the mixing glitch as we speak. Who, might you ask? TOP MEN. Will this be on apple iTunes podcasts?